Last edited by DonalDuc; Feb 23, 2013 at 7:05 AM. 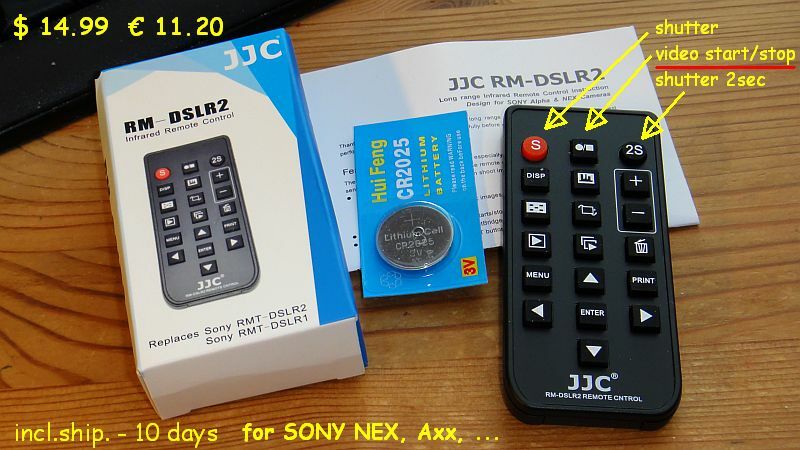 The new Sony Wireless Remote Commander (RMT-DSLR2) has a better pricing. Except it is out of stock in Australia. Most new Sony NEX and A7/A7R have built-in WiFi, and the trend is to shift the wireless control to smartphone instead. Last edited by antony; Dec 11, 2013 at 8:18 PM.